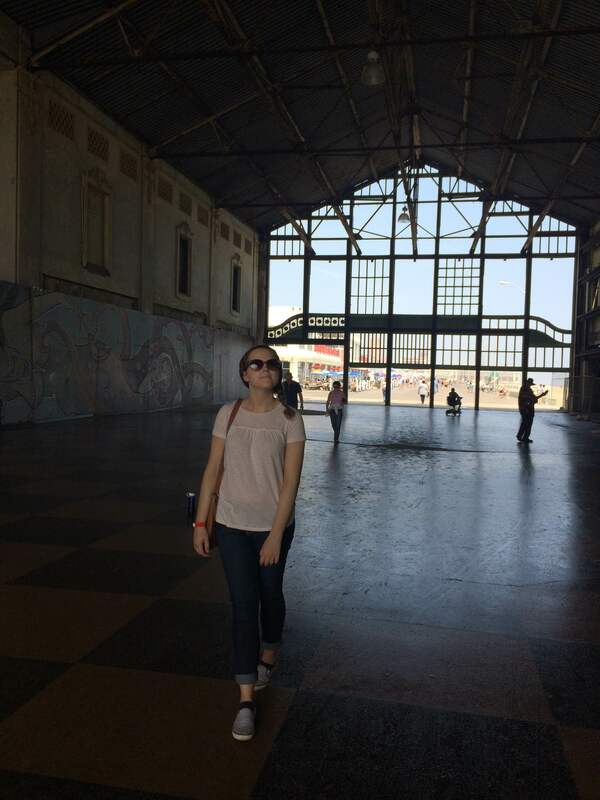 Last week, (instead of attending college graduation), the wife and I skipped town and headed to Asbury Park, New Jersey to attend Skate and Surf Fest — a two day music festival. 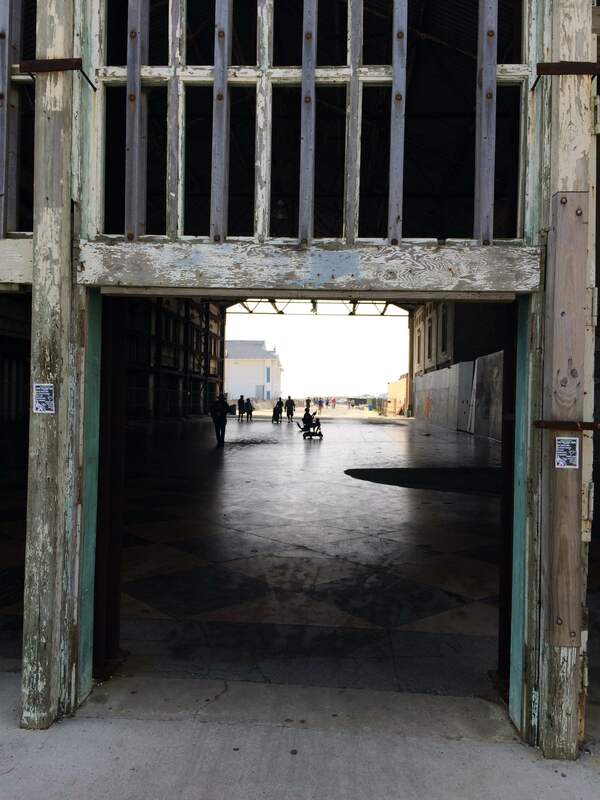 If Asbury Park sounds familiar, it’s probably for one of two reasons: Bruce Springsteen’s classic album, “Greetings from Asbury Park” or Sandy, the devastating 2012 hurricane (or superstorm). Just walking around the boardwalk and seeing the damage hit me hard. It reminded me that communities like these are affected long after the news cameras turn off. 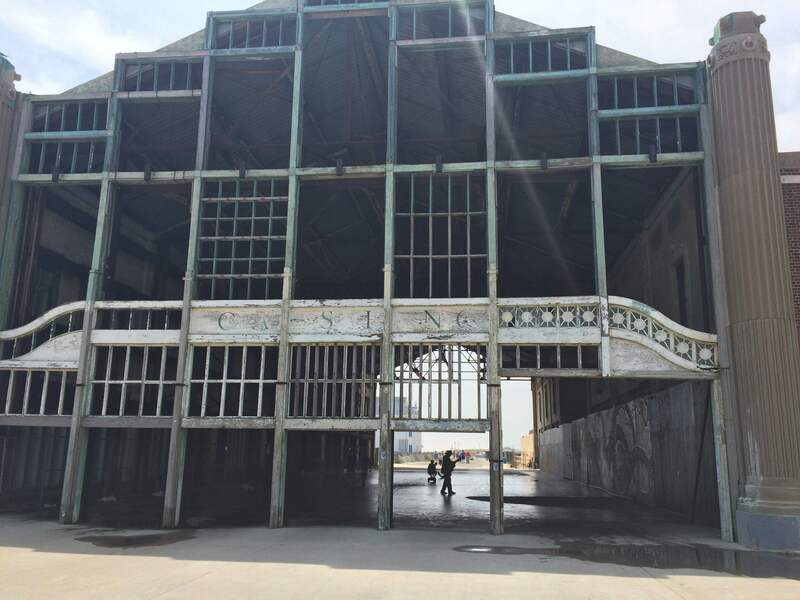 But even in its destruction there is new life in Asbury Park, and it’s beautiful. 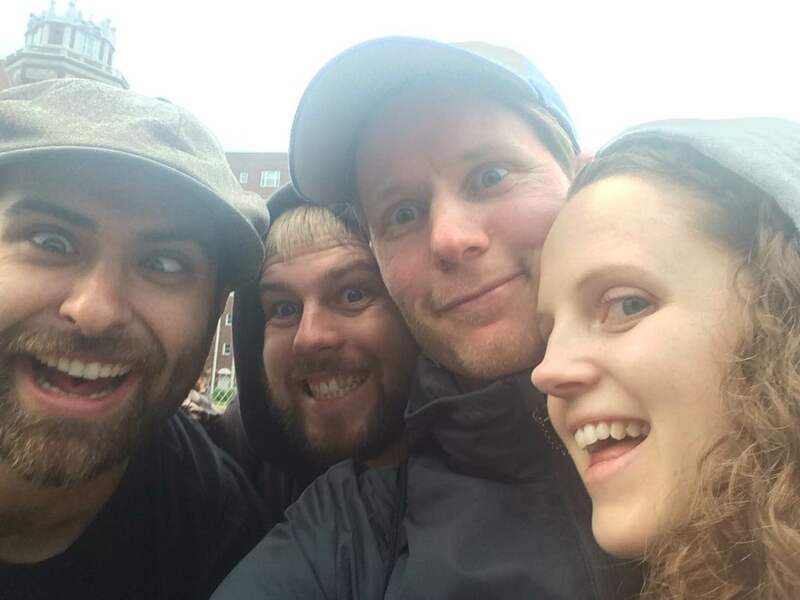 For the first day of the festival we were joined by a couple west coast friends, Scott and Brook. We stood in line, ate pizza, stood in line some more, watched a boardwalk magician get arrested, stood in line some more, and finally, got close to the front of the line. Eventually we made it inside. As for now, I’m happy to report that I still have my hearing and that I am loving 2014 music and film. Up first: here are some of my favorite albums and tracks from the year. Some you probably know, maybe a few you don’t? Give them a listen and let me know if any resonate with you. Kevin Morby is my new favorite singer-songwriter. I’ve been obsessed with Still Life, his latest effort, for a few weeks now. The range of this record is amazing. From minimalist acoustic/drum tracks (see below), to fuzzy reverb layers, to clean 70’s pop, to indie folk, this album has a bit of everything, and it executes it well. In reviews, I try to stay away from easy artist comparisons. Hardworking musicians, like Morby, deserve complex criticisms. That said, Kevin Morby is the brilliant lovechild of Nick Cave and David Bazan, though was raised by his god parents in the 90’s in a sailboat off Santa Monica by Beck and Lou Reed. That’s what he sounds like. Got it? Happy Monday, everyone. We made it through February! March, baby. I’m ready for you. The temperature still averages below school-zone speed-limits and the sky is dirtier than week old camping socks; nevertheless, I think I’ve found a way to get through the rest of winter. Good, old-fashioned (not whiskey) winter music mix-tapes! What songs construct your winter mix? Add them in the comments and I’ll check it out. I’m hungry for new music right now. Also, I’m hungry for a breakfast burrito. Water Liars. I’m obsessed with a Noisetrade EP they released a month back. Check out their website HERE. From the South, this “whiskey rock” trio howled their way out of the Mississippi river and into my ear-heart. #1. The Twitter Ministry was a satiric joke. My apologies to anyone offended/interested in helping my faux cause. #2. I passed my Econ final. Yes! Remember that one test (or class) I cried about? Totally passed it. Thank you for the prayers and for the confidence boosters along the way. #3. My annual Winter Break video-game veg-out has begun: Batman: Arkham City. So far, it’s awesome. I get to pretend to be Batman for a few hours everyday. Watch out, Batkid. #4. My wife goes to work while I stay at home and play video games. #6. I have seemed to misplace #5. Hey, remember these? Media-Thon Monday has returned! 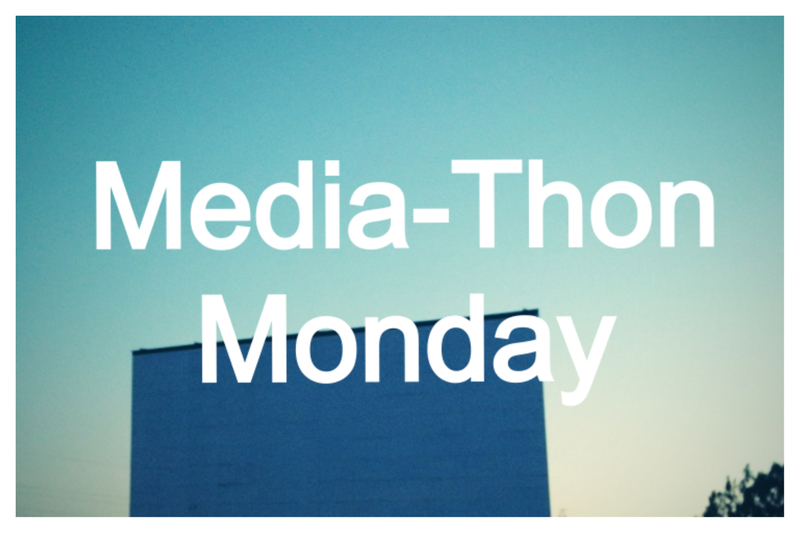 What is Media-Thon Monday? Good question! Now, next time, raise your hand. MTM (as the cool kids call it) is a compilation of pop-culture finds that I think are interesting and worth sharing. So, without further ado, here… we… go! That is a picture of a Drive-In theatre screen, FYI. My friend, Travis, sent me a link the other day (he lives in Australia). He likes to share good music when he comes across it. The band is Boy & Bear (from down-undah), and they are really, really great, especially their album Moonfire. For three days I thought the band was called Moonfire and the album Boy & Bear. Moonfire is the coolest name ever, so it was a little hard to get over. No, this isn’t about Blockbuster closing all their stores (though that is worth noting). It’s an interesting article I came across about similar themed movies coming out at the same time (think Armageddon and Deep Impact).